Home Oral Hygiene My patients come back time after time! 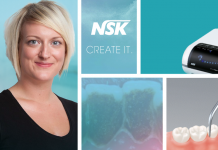 Anne Marie Taylor, Hygienist at Saracen Street Dental in Glasgow, discusses why the NSK Prophy-Mate neo is probably the best thing she has ever bought! I’ve been using the NSK Prophy-Mate neo for two years now and it’s probably one of the best things I have ever purchased for the practice. 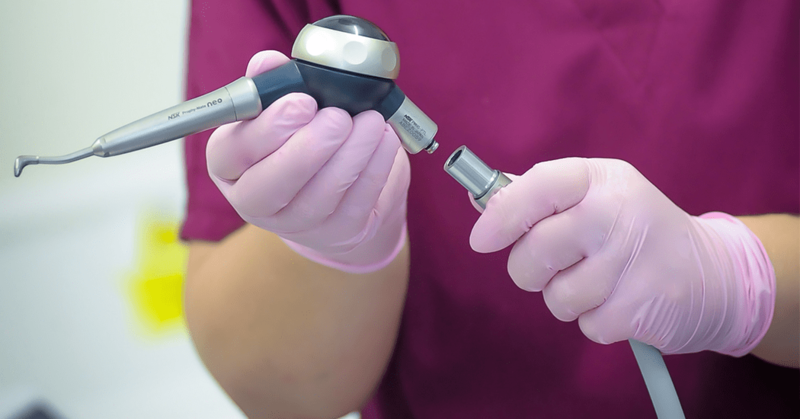 I’d seen similar air polishing systems when I was a dental nurse in Canada, and when I met Angela Glasgow, NSK’s Territory Manager for Scotland at a dental show, she arranged a 10-day ‘try before you buy’ in-practice trial for me. I’m absolutely delighted with the Prophy-Mate, so delighted in fact we have now purchased a second Prophy-Mate neo for the practice. The Prophy-Mate neo delivers fantastic results and has been an exceptional way to build our patient base. We use the units on over 10 patients a day so it has very quickly paid for itself, as patients come back on a regular basis for hygiene visits as they love the results. We are a mainly NHS practice based in Glasgow, where for the vast majority of our patients, dentistry and oral hygiene is not a top priority. However, because the Prophy-Mate neo delivers great results for a relatively small amount of money, we find our patients are very motivated to keep up their check-ups and hygiene visits. They really see the benefits, and once they’ve tried it, they just keep coming back. The unit is beautifully designed, lightweight and very ergonomic to use. There’s a choice of two tips – 60° and 80° – and I mostly use the 60° tip for routine cleaning. We use NSK FLASH pearl® powder with the Prophy-Mate neo, which I find is a great combination for really effective removal of stains, plaque and calculus. FLASH pearl granules are small and spherically shaped, so they don’t harm the teeth and patients seem to find the taste pleasant. In terms of maintenance I find that the Prophy-Mate neo is very easy to look after. After every patient the unit is flushed through with water and air and then it’s autoclaved, and we don’t leave the powder in the chamber to get clogged up. Our original unit is now over two years old, used daily and it still works perfectly. 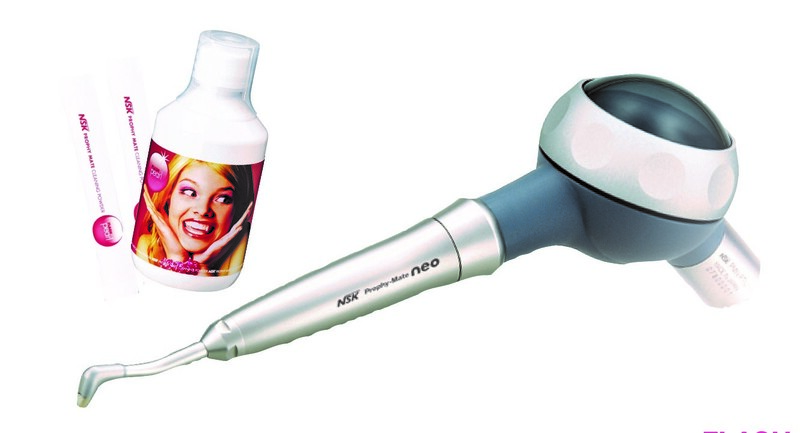 The job of a hygienist can be very physically demanding, but I have found using the NSK Prophy-Mate neo incredibly satisfying, especially when you see the end results. My patients are happy and can see a noticeable difference in how good their teeth look after treatment, which is a really nice thing to be a part of. I can’t recommend these NSK products highly enough! 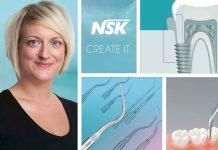 NSK is so confident hygienists and therapists will be delighted with the results achievable with Prophy-Mate neo and Perio-Mate that it’s offering a no-obligation 10 day ‘try before you buy’. For more information visit www.mynskoralhygiene.co.uk or contact NSK on 0800 634 1909 or your preferred dental dealer.